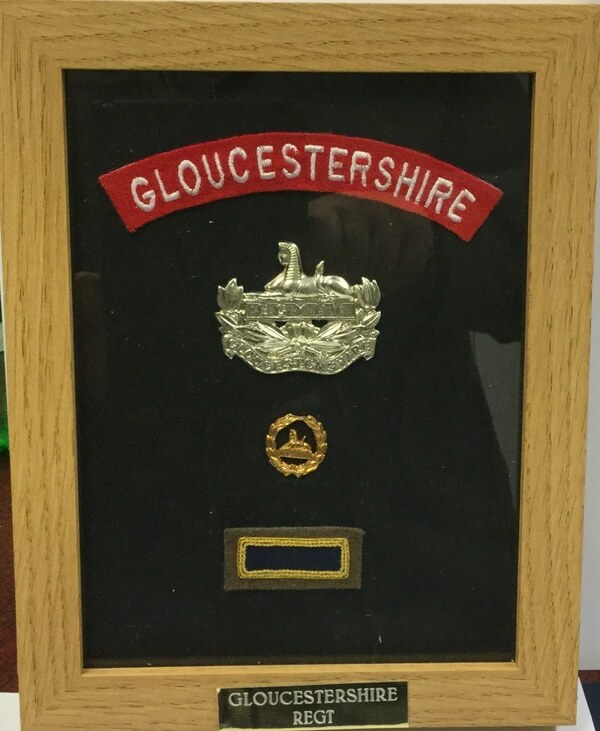 Front badge and back badge with Presidential Unit Citation and red Gloucestershire shoulder flash mounted in a frame. Front badge and back badge beautifully mounted in an attractive frame approx. 12.5cms x 16cms. American Presidential Unit Citation sleeve badge is mounted beneath the back badge.